2017 Most Wanted Players Irons: The Full Results are In! What characteristics determine a great players iron? Is it distance? Accuracy? Control? A little added forgiveness? We’ve found that it’s a combination of all of the above. This year we leveraged our testing facility in Virginia to deliver the most comprehensive, unbiased Players Iron Test in the world. If you’re in the market for new irons in 2017, this is for you. 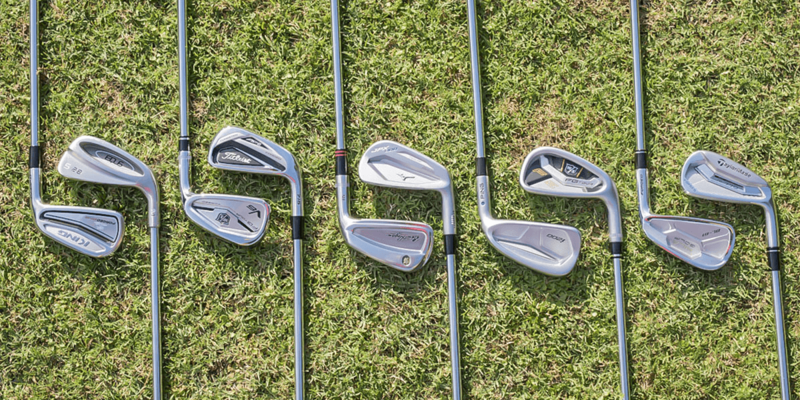 11 of the top non-blade players irons were put to the test. The clubs tested, while not quite the butter-knife blades your grandfather played, maintain the workability better players demand and offer that bit of forgiveness we all need. The target handicap for this iron category ranges from scratch(or better) to the high single-digits. The designs of these irons feature more compact head profiles, small cavities, and minimal offset. DISCLAIMER: While we all want to game the same irons as the pros, the clubs in this category aren’t for everyone. 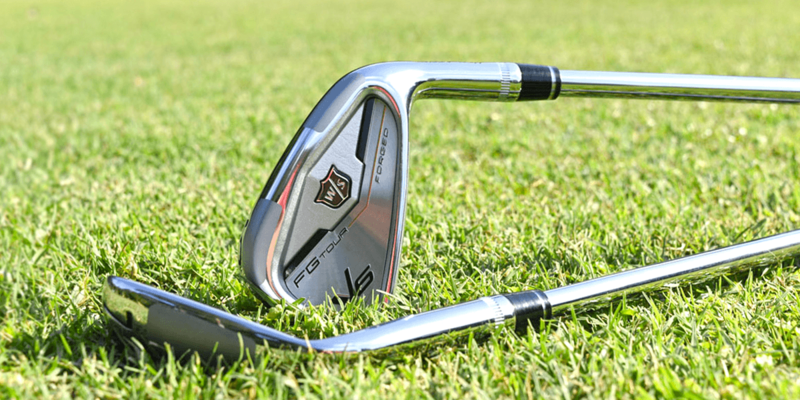 These players irons are designed for golfers who hit the center of the club face more often than not. Miss and the punishment will be more severe than with game-improvement or super game-improvement irons. All testing was conducted inside our fully independent test facility located in Virginia. All testers used Bridgestone B330-RX golf balls for consistency and to reduce test variables. All ball data was collected using the world’s most trusted launch monitor, Foresight Sports. All head data was captured using the Foresight’s HMT. Our rankings aren’t determined inside a conference room. We don’t have a panel, and there are no votes. The launch monitor is the one and only judge. For our 2017 Most Wanted Players Iron test, we collected a standard set of launch monitor metrics (ball speed, launch angle, spin rates, distance, etc.). Shot Area: Sometimes referred to as dispersion, Shot Area describes the stat area (in yards2) of a 90% confidence interval ellipse. Radial Distance: Similar to Shot Area, Radial Distance represents the average distance (feet) to a theoretical pin centered on the target line. Distance: The most straightforward of all the metrics, distance is the average total distance for a given club. Consistency: Using standard deviation of carry yards as the metric, we consider each club’s tendency to produce similar distance from shot to shot. Outlier Rate: New to our ranking system, we now consider the percentage of outliers produced with each club. Clubs that produce a disproportionate number of outliers can be considered harder to hit. Below you’ll find the data from our 2017 Most Wanted Players Test. Note that you can use the Iron Model filter to limit the display to specific models. Also note that, by default, we show the comparative metrics for long irons. To see middle and short irons, use the Iron Type drop down located on the top right of the charts. Played the best golf of my life with the original FG Tours.. Spent a few years in the high single digits with them. Still have them in the garage but play the F5 now. Talked myself out the the V6 since I’m lucky to play once a week now and thought the F5 was a better way to go. Took awhile to get used to the thicker top line and finding my swing with them but can recommend them to guys with a similar story. Honestly, have almost gone Mizuno a couple times but hit both enough that I ended up with Wilson…The Mizuno is a little sexier but I hit the Wilson as well or better and at a price I could live with. I tried the i200 today, felt great, could hit them easily. I want to try the Mizuno’s 900 tour but nobody near me has outdoor testing. If I can hit the i200’s well would I be able to hit the 900 tours just as easily? Depends on how much bounce you need and your angle of attack. I’ve owed both this year. Started with the Tours and didn’t like the turf interactions as I’m very steap to the ball. They didn’t have enough bounce for me and my misses paid the price. Switched to the i200 for my current gamers and found they were better for me. Gave up a little feel for forgiveness. I’m a 6.2 GHIN. 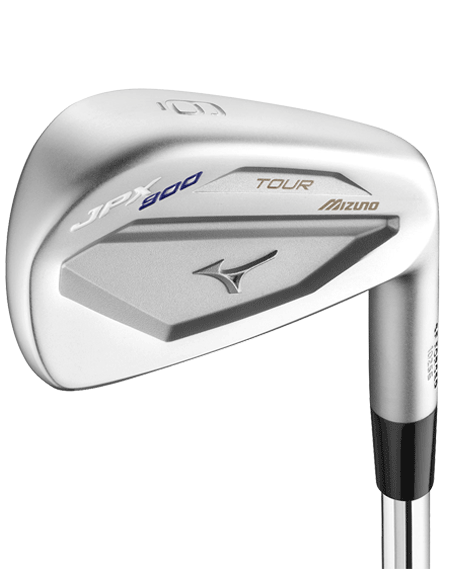 I think you’ll be pleasantly “surprised” at the overall performance and feel of the Mizuno JPX900 Tour. I had a set of the “Forged” but always regretted not getting the “Tour” as I think it spooked me a bit even if I’m a 7 HC. The performance of the Tour vs Forged were for all intents were equal–except maybe in overall length/distance. I was surprised at the forgiveness of the Mizuno JPX900 Tour, as it was comparable to the Forged. You can really get a solid response in feedback on a wide range of shots. Whether straight forward shots, low climbing punch shots to full on draws and cut shots … out performed the Forged without question! As you probably know, Mizuno has “cornered” the market when discussing FEEL (feedback) but if length/distance is a desired aspect of your game, you’re not going to compete so closely with the other irons out there. I was a Titleist AP2 player for a long time but switched to Mizuno for about 4 years. But I couldn’t get past the “look” of the latest Mizuno’s flat, pale drab finish. I personally like a little shine and I finally gave in to a club I had been wanting to the longest time. Prior to my Titleist days, I had a set of Callaway X-Forged, and at that time I was probably a 12 HC–but the performance, look & feel for me was 2nd to none. Unfortunately my bag was liberated by some feckless punk thief … so I’ve been yearning for a set of Miuras for years. So recently I got ultra lucky and found a set of used but immaculate set of Miura cb57’s. They have a similar look, performance and even better–MUCH better feel! The look of these clubs are in my opinion are above and beyond classy, less is more and after a few months realized that money was well spent! With that said, the transition of getting to know–learning these “new” clubs were immediate! Like the Mizuno, the overall distance is about a half club shorter to the other “players clubs”, but I can’t get over st how beautiful they are in look AND consistent performance. Distance was a hugely important factor for me, but realized that pride and loss of 8-12 yards was not nearly as important as confidence swinging a 6-iron versus a 7-iron, but knowing I’ll get that 8-12 yards back in accuracy. Yes, they’re heavier on the wallet, but the craftsmanship of these will allow me to keep these much longer than other clubs. They are a bit smaller but they’re not a blade. But a friend of mine finally convinced me that the only way to get better is to swing a club that is more than a players club. Focus, feedback, quality swings bring in considerable confidence! I hope I was able to answer your question–and perhaps bring to you a different point of view which I hope will help you decide on a club that fits YOU! Top Players irons if you are right handed. If not then 2 of your top 3 are not “viable” options. It’s a no brainer they rock.. Strange, it looks my previous comment was deleted or otherwise didn’t make it. I’ll resubmit. It seems quite odd to have distance as a measurement. Irons are about accuracy and consistency, particularly in the Player’s club segment. Why was distance used as at all? This is ironic. I’ve been considering both v6 and P770 and can’t decide between the two (though honestly leaning towards P770). I’ve become a firm believer in the difference between how certain clubs handle off of mats versus grass lies. Which was the testing conducted from? Testing was conducted in the MyGolfSpy Indoor Testing Facility in Yorktown, Virginia. We test on high quality turf mats to ensure a consistent lie for all testers, which helps us eliminate variables in the long run. So the cobra Forged One long iron with a 7 iron shaft length had the same distance as the AP2? If we are talking about a 4 iron then that is a huge plus for Cobra! Hitting a 4 iron with a normal 4 iron length is difficult for most golfers. If you take the “Shot Area” and “Carry Consistency” results for long/mid/short irons, then average them out, the FT 56 is 1st in accuracy. Also, if you look at the data, the difference in the irons is minimal, especially when you focus only on the mid/short irons. The long iron numbers are skewing results. How many long irons do you hit a round? Awesome! I started gaming the Wilsons at the beginning of the season and I love them, amazing feel and forgiving. Not the longest due to the weak lofts but I’m not complaining. Paired with some Reoil F5’s and these are some awesome sticks. I’m surprised the Pings didn’t make the top 3 as they are typically the best overall iron for feel, distance and accuracy and the i200s have gotten great reviews from all sources. The numbers for all the irons tested are so close I don’t think you can go wrong with any of them and you recommendation about talking to a fitter will get you the best clubs for your game. It really comes down to look and feel and then getting fitted properly I guess. Ping isn’t really known for feel. Mizuno on the other hand is. 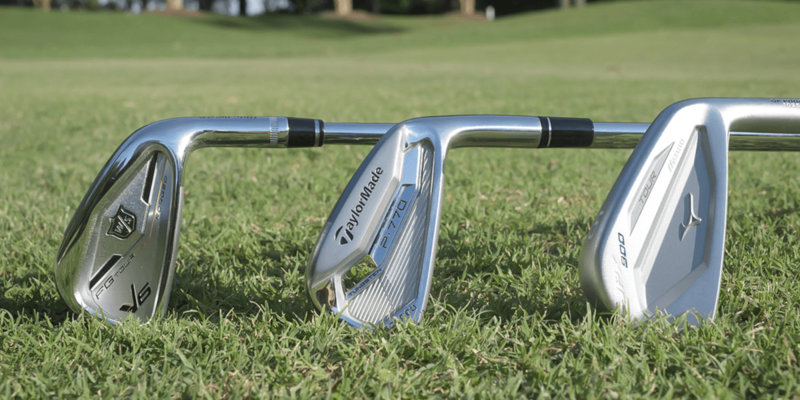 I bought the i200’s after demo’ing, at a demo days, every iron from every manufacturer. JPX 900 tours and FG’s were clunky compared to the i200’s. I also tried every shaft Ping had came back to the AWT 2.0 stock shaft. Different strokes for …. After looking at the data it really looks like all of the irons performed very well. Some better than others but there does not look like a bad iron in the bunch. It seems like if you picked the one you liked the feel and looks the best you wouldn’t go wrong. They’re not for me but the results are better than I would have thought particularly with the lower lofted clubs. I’d like to see the statistics on the PXG irons. After all, they make the best irons, period. PXG, Wishon and others present a testing challenge for us. For those brands, there is no such thing as stock/off-the-rack. That’s how we test because that’s how most buy. I suspect the PXG Tour would have been a strong performer in this category, and will continue to look for the *right* way to fit them into future tests. Working in a large golf retail store, most people spending $1000 and up on a set of irons are NOT buying off the rack. You want to know the best iron? Put the exact same shaft in all different heads and give it to a robot to hit and produce consisting swings. You want to find out the best iron for an individual, go talk with a club fitting professional. I hit both the P770 and P750 forged irons. The P750 had noticeably better feel. The P770 had a tad bit more clicky feel. I think a lot are missing from the test that are top contenders. So the FG Tour 5 had the best dispersion with the long & short irons, but the worst in the mid iron? How do you explain that? My son, a very good player, went to the Wilson V6 this spring and he loves them so their selection is no surprise to me. Also, I know you can’t include everything in your testing, but would have liked to seen the Srixons included. Your reviews on them were favorable so I was surprised they weren’t there. I have been playing the 765s since last fall and I am very impressed with them. Would be great to be able to sort game results with game improvement irons alongside players irons when data is completed. Gaming a combo set of Srixon 545/745 and have been happy with the results. Thanks for the results. Well this makes me happy I’m in my early 60s and remember when Wilson Staff blades were some of the best you could get. I still have a set that feels great and plays beautifully. I have been playing FG Tour V2s for a while now and was just really glad to see the new V6 irons come out. Love the looks and shape of the sole. It was interesting to see Rick Shields put them in his bag he seemed surprised too. They have been “back” for some time now hope more players give them a test. As far as shafts go and your data I think it’s fair to test them with their stock shafts. It would be crazy to try and test every head in every shaft that people like. I started with KBS Tours in mine and later put in Nippon Modus 105 for a lighter feel and somewhat smoother as well. It was not a night and day change just a little tweek that made me like them even more. I will try them and maybe they will be my next set. Excellent review. But I have a problem of comparing clubs that have different shafts. Either frequency match the shafts or group the testers by swing speed. You have a diverse group of swing speeds represented. The same head with different shafts will perform differently for different swing speeds. While I understand your thinking, and it’s something we’ve talked about over the last 6 years of refining our tests, matching shafts doesn’t make a whole lot of sense given our objective. Every last one of the irons in this test are sold off the rack with the overwhelming majority of units sold with stock shafts. Our test is designed to focus on relevancy to the average consumer. That’s the off-the-rack buyer. For a golfer who is going to take the time (and expense) to work with a qualified fitter, we hope our tests will open eyes to products that may not have been considered (the V6 is a good example). But being perfectly blunt, if you’re going to get fit (and we think you should), we certainly hope you find our data interesting, but ultimately you should trust the fitter to deliver the best fit for you. That said, we’re working on some things that will provide more actionable information to DIYers and others who don’t work with fitters. Big project…takes time, but it’s coming. Makes sense, especially as your trying to find the best iron as built by the manufacturer. If a manufacturer wants to put 85 gram stock shafts in their irons so they appear the “longest,” but these end up showing a loss in accuracy for the AVERAGE consumer, then this should ideally flow through to the test results. Sure for some players they may provide the best results, this test is made for the average consumer whose not going to get fit for a shaft anyway. 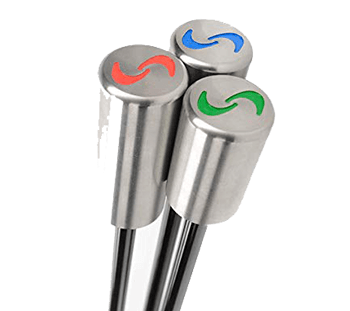 If you want to test different shafts for the AVERAGE consumer that should be a difference test where the clubhead doesn’t change. Too many variables in one test would ultimately provide less valuable information. Regarding the results, it would have been nice to know what shafts each iron had in them. Were they all the same shafts, or did they hit whatever stock shaft(s) the company put in them? Shafts make all the difference in the world. Any idea how the new Wilsons compare the some of the older ones? I current play the 1973 button back blades and am considering upgrading. I play the 1932 Walter Hagens are any of these new fangled clubs really any better? 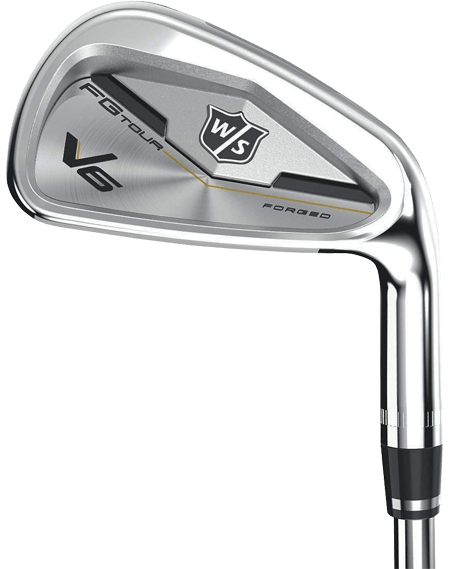 The only other set of Wilsons that I can compare the new V6 to are a set of Staff Tour blades that I’ve owned since the early to mid 1980’s. The blades are butter – when you hit them on the sweet spot – but the sweet spot is about the size of a dime. I simply don’t have the game for those anymore. The new V6’s feel just as good as the blades IMO, but are MUCH more forgiving and I can still work the ball both ways with them (although that’s a little easier to do with the blades). Since they’re such important points for buyers of these types of irons, do you think there is an objective way of adding look and feel into the reviews? Just curious. Short answer no. As remarkable as it may sound, we’ve found little evidence to support that notion that look and feel matter. There are cases where a club is too ugly to hit for some golfers, but in the past (when we considered looks, sound, feel), what we found is that, overwhelmingly, golfers would tell us that the clubs they liked most on a subjective basis, performed the best for them. However, when we looked at the data we’d find that in the overwhelming majority of situations it wasn’t the case. We’d often see the opposite phenomenon as well. Case in point, several years ago we tested the PowerPod II Driver. By any measure it’s ugly, sets up closed, and the sound is mediocre. It also worked really well for some golfers. At the time we did subjective surveys. One of our regular testers told us that, in addition to hating it from a subjective standpoint, it was shorter and less accurate than anything he had ever tested for us. Out of curiosity, I went back and compared the PowerPod’s numbers to the year’s + of data we had from him. What I found was that the PowerPod was not only the longest driver he had hit for us, it was also the straightest. Granted, this is one case, and it’s the extreme example of aesthetics vs. performance, but we’ve seen it time and time to a lesser degree. My point in all of this is that while we may think the subjective stuff matters (because we all want clubs that look and sound good), the matching performance data says it doesn’t matter all that much. Tony, I hear you loud and clear. Your points are very logical and valid. I thought it was worth asking because there will always be an abundance of golfers that will put look and feel above data, hence why Titleist still sells so many clubs. But I see what you mean and also understand the purpose of these test is to strictly present unbiased results based on data. These tests are certainly not an end-all-be-all of what everyone should have in their bag but there also is no better place to start! Keep it up. Surprised not by the clubs as much by what made the list. I’m assuming the Apexs didn’t make it due to being a 2016 model? 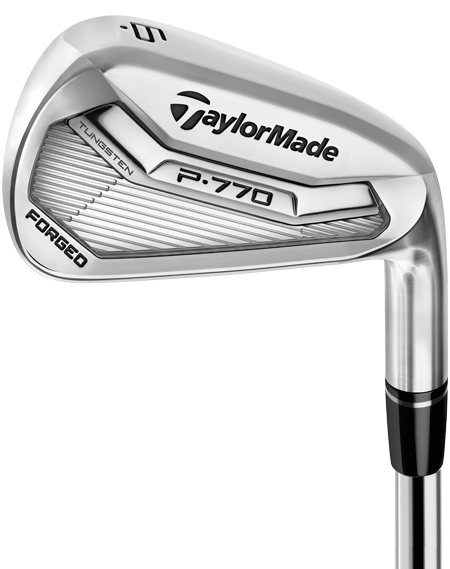 As well as a bit confused as what defines a player’s iron as some would call the 750s a player’s and 770 somewhere between players and GI. The first question is probably more due to wishing we could see an article comparison of all the major OEM’s similar clubs vs switching between the different years of most wanted. However the second is something I’d like to see be tackled, of helping to develop at least somewhat consistent categories and which clubs fit into each. Admittedly the Apex Pro was a miss on our part. Callaway sent us basically everything but, and we didn’t catch it in time. Regarding the 750s and the 770s (and probably a couple of dozen others on the market) you can argue a case for multiple categories. We went with the 770s because we felt it would be the one with the most consumer traction. Ideally, we would have tested both, but TaylorMade remains displeased with our editorial content so we had to go out of pocket and rely on donations to cover the cost of the 770s (and every other TM product we’re testing this year). I expect we’ll increase the number of products tested in each category next year. Wow, this is a really bad call from Taylor Made. Not impressed! Will you be releasing the full rankings, 1 through 11 anytime soon? How did you “normalize” the lofts between manufacturers? If I understand correctly the v6 lofts on the irons are more traditional than the loft-jacking which has been done recently. Normalizing lofts and lengths are something we’ve considered over the years, but ultimately we test as designed by the manufacturer. It doesn’t represent how the average consumer thinks or buys, and static numbers (loft) don’t always tell the true story of performance. If it gets you more distance and doesn’t cost you accuracy or consistency (forgiveness) is it a bad thing? The physics of launch (as loft increases, it becomes more difficult to tilt the spin axis) says that lower lofted clubs will inherently produce more curvature. So with that in mind, we know that accuracy (straight flight anyway) becomes more difficult to achieve with lower lofts. So if accuracy suffers because of loft jacking it’s reflected in our results. If the data doesn’t suggest negative consequences, then we can’t then argue that loft jacking in a particular case is bad just because some golfers don’t like it. It’s also our judgment – and this is reflected in our weighting – that metrics like shot area and radial distance much more reflect the complete performance of an iron than does distance. So basically, if an iron is longer because of stronger lofts, great, but that doesn’t much matter if accuracy and consistency suffer for it. this is the quite possibly the clearest and easiest to understand answer to loft jacking i have ever heard. also making me re-think my stance on more traditionally lofted irons. Well done Wilson! They’ve been on the upswing and the reviews have been awesome and now they got actual data. Good for TM and not surprised by Mizuno. Looking forward to the GI testing as that’s my wheelhouse. I’ve played Wilson irons my whole life. The new V6 are the best irons ever. Love the look, feel and setup of these clubs. The distance gained and ball control is phenomenal. Don’t know how they could have improved them any better. If Wilson would pay the tour pros to play these, you’d see a lot more of them. However, Wilson would rather let the clubs speak for themselves. Great job Wilson, and thanks. Great to see Hogan was included in the testing. As always, keep up the great work MGS. May I ask why Callaway Apex Pro irons are not included? 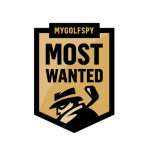 I have my eyes on Apex Pro, Titleist AP2, and Mizuno 900 Tour, and really want the objective review from MyGolfSpy on these three…. While I find your data always very helpful, a bit more editorializing is always great. For example, it is unclear how the score is weighted and why the V6 was the winner. The average score for the V6 was 4.7, which is the highest of the top 3, but the Mizuno’s average score on your 3 metrics was higher than the TMAG ( 5 and 5.3, respectively). Also, while not particularly unbiased, i think feel and player impression is also important, particularly for a player iron. Most of these guys can play anything, and their subjective impressions are almost as important as the hard numbers. love your work and the site. Keep fighting the good fight. We’ve found time and time (and time) again that golfers see what they want to see from a subjective standpoint, so while they may like how a club looks or feels, if that doesn’t’ translate to better performance (and we’ve found little correlation to suggest it does), it’s not particularly valuable to our process. We’ve covered weighting in a previous comment, so what I’ll add is that for some metrics, the difference between say 3rd and 9th were absolutely minimal, so going by total rank alone doesn’t really tell the whole story. I should also mention that the gaps between our 3 top finishers were exceptionally thin (suggesting it likely comes down to personal preference and individually important metrics ie, what matters most to you). There are 100 ways to present and look at the data, so giving everyone what they want to see is impossible. That said, Wilson was stronger on the short end of the set, TM stronger on the long end, with the middle being similar for our top 3. One other note, as I mentioned, our top 3 were exceptionally close. Srixon was a clear 4th, and then it’s a decent jump to everything else. The Wilson V6 has gotten so many good reviews, not surprised by that at all. Another quality test done for the player by MGS..Thanks!! Maybe I’m being a bit dense, but you spend a good amount of time explaining each of the 5 metrics used to determine ranking, but then use “Distance,” “Accuracy” and “Forgiveness” as the final metrics w/o explaining which of the initial 5 metrics went into those rankings. Like, is “Accuracy” a combination of “Shot Area” and “Radial Distance”? If so, how are they weighted? Is “Forgiveness” just the same as “Consistency”? Combing thru the data provided doesn’t help either; in fact, it confuses me more. The Wilson F5 is tops in Shot Area, Radial Distance and Consistency and 6th in Distance (only one spot behind the V6) and yet it’s not in the top 3 overall? How is it not #1?? Please tell me what I’m missing or clarify your process. Thanks. Final results are weighted with Shot Area and Radial distance carrying the most weight in our total rankings. Distance carries a fairly neutral weight, while Outlier percentage is smaller. With respect to the F5, are you looking at all of the data, or the default display, which is long iron only? FWIW, I looked at the F5 on Friday and asked the same question before realizing I was only looking at 1/3 of the data. Thanks, Tony — with your clarification, it now makes sense. And yes, I was just looking at the long iron data! Knew there must be something I was missing. Great test as always. I’m sure you’ll get this question a ton, but when is the game-improvement irons test coming? Thanks, I’m a 9-10 handicap, and would love to see the game-improvement iron comparison too. Also, I guess we can assume you used the stock/std shafts, but it would be nice if those were identified as well. Game Improvement and Super Game Improvement results are coming soon! Can we expect a Callaway iron to be among those tested for the GI and SGI irons? Would love to see how the Apex measures up. The P770’s have been game changers for me. No surprise on the V6. Wilson Staff makes great equipment. Not to surprised to the The V6’s and the Tours at the top of the mountain. 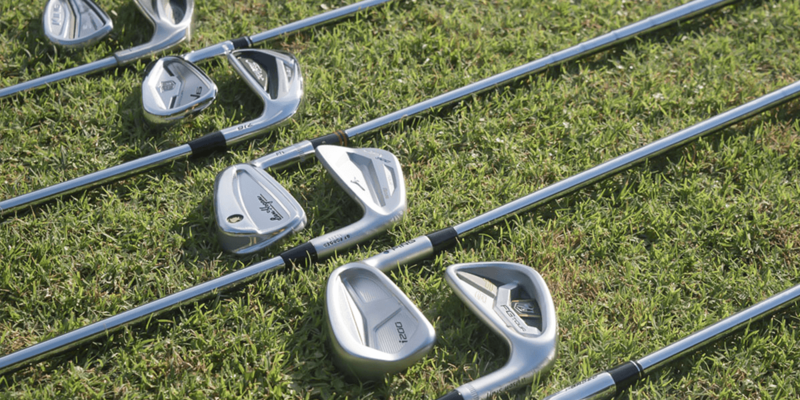 Wilson and Mizuno are two of the top iron makers in the game. I am surprised to see TaylorMade up there though! Good for them! Went through a fitting recently. Ended up with MP-18 SC’s, but the P770’s were a close second. For me, I was hitting them WAY too far. I had much better distance control with the MP-18’s. They felt pretty decent as well.